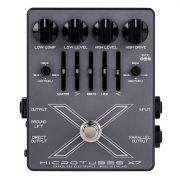 Darkglass Microtubes X > Darkglass Electronics > Diffusion Audio Inc. 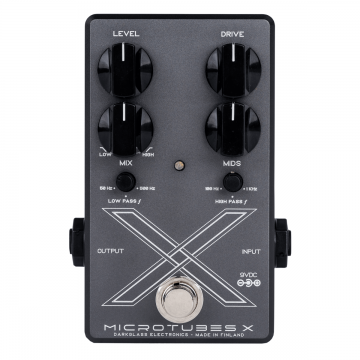 The Microtubes X is Darkglass' solution to that problem in a very compact form: The signal is split by two variable low-pass and high-pass filters at the very very beginning. The high-pass signal (mostly mids and treble) is distorted using CMOS circuitry, just like their older Microtubes pedals.